Looking around when you take a walk outside will make you think there are thousands of species of spiders in Oregon. There actually are only about 500 species of spiders in Oregon, and only 12 of them are likely to be encountered near homes in Portland. These spiders can easily be handled by a company specializing in spider removal in Portland, OR. Still, it is unnerving to come across a large spider in your home, and you may wonder if there is any danger. Luckily there is not much of a risk of serious harm from Oregon spiders. You can prevent spider bites by following a few simple tips around your home. Spider bites are actually not common in Oregon. It is extremely unlikely that you will be bitten by a spider more than once or twice in your lifetime. 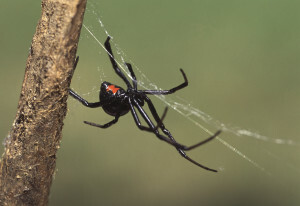 Most spiders in the area are venomous, but few are harmful. The hobo and brown widow species are present in Portland, but not in great numbers. They both have toxic venom, but do not inject enough venom to cause serious illness. However, you should seek medical treatment for hobo or brown widow bites. Bites from all other types of spiders are not a cause for concern. They may be irritating and leave a red mark, but you will not need medical attention. The only exception to this is the extremely rare cases in which victims have an allergic reaction to a spider bite. Keep bedding several inches above the floor. Vacuum frequently, and vacuum up any spiders you see. Shake out your shoes and clothes before you wear them. Seal up any cracks that allow spiders to enter your home. Keep large bushes and trees away from entryways. 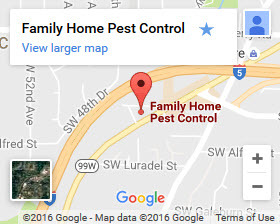 Of course, finding a pest control company that performs spider removal in Portland OR is a great way to avoid getting a spider bite. Following a few tips and finding quality pest control can keep you from coming into contact with spiders and lessen your chances of a spider bite in Oregon.